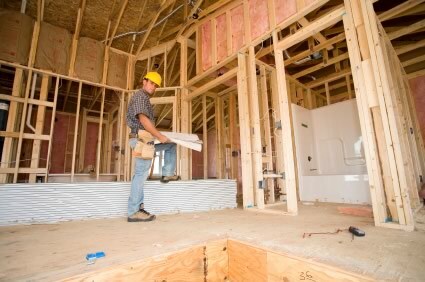 A plumbing contractor is a contractor that is responsible for the design, planning, and installation of plumbing systems that can supply water to building structures. Likewise they may also work on system for the transport of gases, such as natural gas. Both water and gas systems consists of pipes, tanks, regulators, valves, heating elements, cooling elements, motors, and other devices that control the inflow, outflow, maintain temperatures. The contractor must have the knowledge to properly size the system components so that an adequate volume of water or gas, and in the right temperatures, are supplied on demand. Needless to say, some level of math is required in this profession. The plumbing contractor must understand the interconnection requirements for the inflow of water from municipal water supplies, or private sources, such as water wells, lakes, or ponds. Knowledge of water purification standards should be known to the plumbing contractor, or this specialty may be outsourced to a water supply specialist. Just like water supplies, natural gas or other gases have their own sources, and the contractor must also know how to interconnect and the procedural standards required to carry the gases from the source to the point where it is required. Secondly, a plumbing contractor understands and is capable of designing, planning, and executing the installation of the plumbing component responsible for removing waste water safely away from the structure. Waste water may be from toilets, water that runs off from sinks, showers, washing machines, etc. The water removal parts of the system must also be properly sized to handle the outflow of water to the sewer systems or private septic tank systems being used for that property. Like water runoff, gas systems will have their process and methods for dealing with excess gas and disposing of it. Plumbing contractors also need to understand the capabilities and capacities inherent in the materials they utilize. For example, pipe length, material type, and size plays a substantial role in the systems ability to move water or gas in or out of a property. The characteristics of a pipe will differ drastically depending on whether the pipe is made of iron, copper, PVC, or other material. The density, and thickness of the material also affect its capacity and use. A thorough understanding of physical or chemical interaction with respect to handling of vacuum, pressure, compressed air, and gas pressure, are required to safely and efficiently size and plan a plumbing project. A plumbing contractor deals with systems that can be dangerous if not property planned and installed. Water heater tanks that are not sized or installed correctly provide a fire and explosion hazard. Gas systems also provide fire and explosion hazards to building occupants. A plumbing contractor must be knowledgeable in all safety procedures and must be the subject matter expert with respect to safety on these systems. A contractor that works on residential systems will typically be involved with systems that are on the property owner’s side of the utility company’s meter. Then again, a plumbing contractor may also be employed by utility companies and work the utility side of the systems that carry water or gas to and from residential and commercial building installations. Plumbing contractors will also be familiar with the process and procedures necessary to install equipment that will heat water to a temperature required by the application for which it is intended. Solar equipment installation that a plumbing contractor may be required to work on. Equipment and any devices used for meeting health and safety requirements are also the responsibility of the plumbing contractor. These may include shut off safety valves gas meters in the case of an earthquake. Back flow prevention devices. Water conditioning equipment. Valves that regulate water and or gas.